Our main goal is customer satisfaction when it comes to providing Computer repair services in the city of Pompano Beach, fl. We provide fast, affordable onsite Computer Repair services that we guarantee you will be happy with. Our professional, certified technicians specialize in providing onsite computer repair and laptop repair for consumers and businesses. We offer SAME DAY service at NO EXTREA COST at very affordable and competitive prices for Computer Repair services. Deciding on the right computer repair company to choose can be difficult. A Affordable technology makes it easy for you by providing great service and affordable prices! We provide expert service for all your Computer Repair needs. We Provide Onsite Computer and Mac Repair in Pompano Beach. Take a look at some of the services we provide and issues we solve. I need help with virus or malware removal. I need help with data recovery. My computer does not stay powered on. My monitor is not working. Laptop and desktop hardware repairs. I am getting hard drive error messages. Windows update messages are appearing. My computer is not able to connect to the Wifi. Take a look at some of the issues we solve and services we provide. Fast and reliable onsite service! Take a look at some of the repairs we provide. Apple and iMac malware removal. iMac Spinning color wheel repair. iMac not booting properly repair. Are you having browser problems?. We have been providing Apple repair services in Pompano Beach for over 10 years. We offer a wide variety of repair services for Laptops and Apple products, ranging from diagnostics to data recovery. We offer a wide assortment of PC services, including virus removal, hardware upgrades, operating systems installations and more. See why our customers rely on us for all of their computer repair issues. We can provide you with the best quality and price for your computer repair problems. 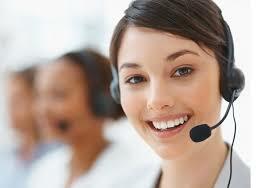 Our expert technicians provide excellent computer repair services that fit your budget. We are always ready to serve your computer repair needs, no matter how large or small. Call us today for your computer repair in Pompano Beach. 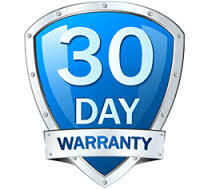 We always stand by our work and all computer repair services are guaranteed by a limited 30-day warranty. No matter what type of computer repair proble you have, Our staff will take care of the problem for you and have it running like new in no time. Providing expert computer repair and laptop repair in Pompano Beach, fl, for over 15 years. Our computer and laptop repair services include Virus and Spyware Removal, complete OS installation, data recovery and much much more. 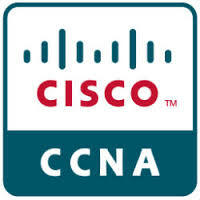 We could provide networking solutions for your home or office at an affordable price...just ask us. Most business owners and home office users don't have the time to hassle with bringing a computer to a retail repair shop. Why make customers go through the process of unplugging all the wires, packing the computer up in the car, dropping it off for several days, going back to pick up the computer and attempting to set it all back up again. A Affordable Technology makes it easy by going directly to the customers home or office to handle their computer repair needs. AAT makes it convenient for customers to get their computer repair problems solved quickly. 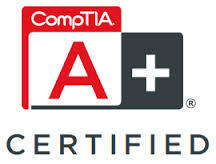 A Affordable Technology has a Google rating of 4.40. The highest score possible is 5.0 . Based on 20 Google reviews.